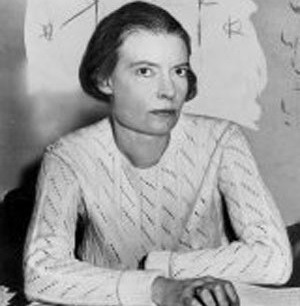 “Dorothy Day 1934” by New York World-Telegram & Sun Collection. Licensed under Public Domain via Commons. In his speech before Congress, Pope Francis repeatedly cited Dorothy Day and Thomas Merton. Merton was a Trappist monk who many of us Baby Boomers remember for his participation in anti-war efforts and his longstanding opposition to nuclear brinksmanship. As a widely published writer despite his monastic lifestyle, Merton was an influential thinker in American Catholicism. From a nonprofit perspective, we Boomers, especially those of us who learned from our Greatest Generation parents stories about social justice activism and organizing during and after the Great Depression, couldn’t have been more taken by the Pope’s references to Dorothy Day. Standing in stark contrast to many of today’s fashionable, au courant social justice advocates, Dorothy Day was the real deal. Day founded the Catholic Worker Movement in 1933. According to Day’s biographer (and Merton’s biographer as well), Jim Forest, Catholic Worker centers were “houses of hospitality” where volunteer workers provided “food, clothing, shelter and welcome…to those in need.” Day was also a journalist and edited the newspaper of the New York City Catholic Worker community, the Catholic Worker, which published the writings of people like Merton and anti-war activist Daniel Berrigan. Like Pope Francis for his condemnation of unrestrained capitalism in his Laudato Si encyclical, Day shared a similar perspective, though expressing it in the language of the 1930s: “We believe in widespread private property, the de-proletarianizing of our American people. We believe in the individual owning the means of production, the land and his tools. We are opposed to the ‘finance capitalism’ so justly criticized and condemned by Karl Marx but we believe there can be a Christian capitalism as there can be a Christian Communism.” The White House comments of Pope Francis condemning economic inequality prompted some typically ugly tweets from conservative commentator Ann Coulter, most notably, “I’m an American and this is why our founders (not ‘immigrants’!) distrusted Catholics & wouldn’t make them citizens”. Back in the era when America’s corporate elite railed about FDR’s New Deal, Coulter would have said the same about Dorothy Day. A Catholic Worker website lists Catholic Worker houses in 208 communities in the U.S. and 28 outside of the U.S. and 67 in the U.S. with their own websites. Forest writes, “Catholic Worker communities have refused to apply for federal tax exempt status, seeing such official recognition as binding the community to the state and limiting the movement’s freedom,” but a few dozen actually appear as 501(c)(3)s on GuideStar. The reality of operating in today’s voluntary sector means that even groups motivated by the vision and beliefs of Dorothy Day often end up applying to the IRS for the ability to solicit and receive tax deductible donations.